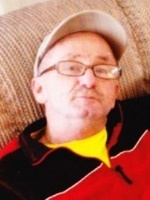 ALBANY – Wayne A. Sheldrick, 60, of Albany, died Wednesday, June 13, 2012 at his home. Wayne was born in Albany, the son of the late Warren H. Sheldrick, Sr. and Alice Garhartt Sheldrick. He lived here most of his life, and was employed for many years by the Greenville Packing Co. (Waldemire Farms), and by Owens Corning in Selkirk. He was a member of the Wildlife Reserve, and enjoyed hunting and fishing, especially at Lake George. Wayne is survived by his daughters Nancy Smith (Michael) of East Greenbush, and Ashley Sheldrick of Mechanicville; his sister Alice Bowman (William) of Beverly Hills, FL; his brother Warren H. Sheldrick, Jr. (Dorothy) of Latham; his grandchildren Kayla, Michael and Lucas; and by several nieces and nephews. Funeral services will be held in the Hans Funeral Home, 1088 Western Ave., Albany, Tuesday morning at 9:30, and from there to Blessed Sacrament Church, 607 Central Ave., Albany at 10:30. Relatives and friends are invited, and may call at the funeral home Tuesday morning beginning at 8:30. Interment will be in Evergreen Memorial Park, Colonie. The family suggests memorial contributions be made to the American Lung Association in New York, 155 Washington Ave # 201, Albany, NY 12210. To leave a message of condolence for the family, send a sympathy card, or obtain directions to the funeral home, please visit www.HansFuneralHome.com. My heart goes out to you girls. You’re in my thoughts and prayers. Thank you for giving me one of the most precious gift of my life – our daughter Nancy. Your memory will always be with us. Wayne had one of the biggest hearts of anyone I knew. He would do anything for anyone. I will never forget how much he loved my daughters and the kindness he shared with my family. I know he is probably in heaven fishing someplace…..
We all will miss him and I am so sorry for y our loss. Wayney was always fun when we were growing up. We shared many laughs together! I wouldn’t trade that time for nothing in the world. So sorry to hear about uncle Wayne. Our thoughts and prayers are with you and his family. IM SORRY FOR YOUR LOSS.. MY THOUGHTS AND PRAYERS ARE WITH YOU, MOM, LUCAS AND NANCYS FAMILY. WITH ALL OUR LOVE- I LOVE YOU MY FRIEND. I would like to thank everyone who has paid respects to my father. Whether it was a message left here or on the Times Union website, a phone call, card sent or a friendly email. Many were able to come in person. It meant so much to me and the family. More than you can know. Wayne has some great friends and family. Many I have not seen in many years, many I have not met until recently. I was able see how much people truly loved and adored him. While I have not seen him in quite some time, it didn’t make it any easier losing him. I guess I always thought there would be time to mend, time to heal old wounds. Time for that talk of a million questions why. I know it will all have to wait now. In case you didn’t know or never heard me say it…..I love you and hope you are at ease and pain free now. Shine strong!